I am just too impatient and curious now; I can’t leave them alone. 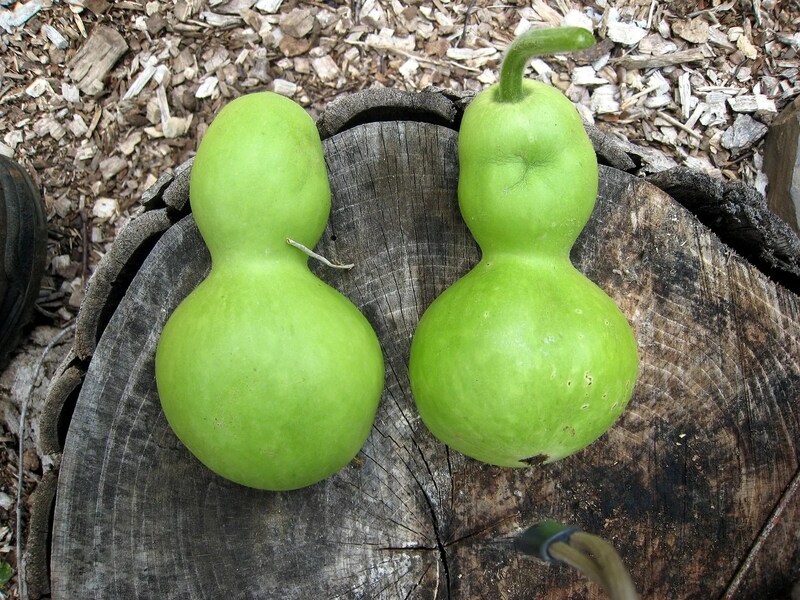 I noticed one of the immature gourds on the severely wilted part of the vine had developed a pucker mark on it. It appeared to be collapsing as it dried; I decided this one was doomed regardless and would be a good dissection candidate. 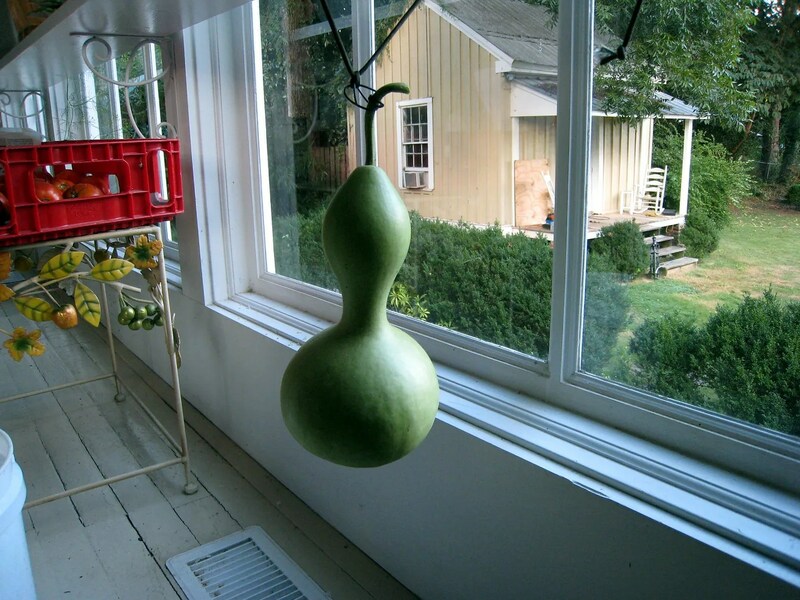 I guess this is what happens if the gourd isn’t allowed to stay on the (healthy) vine long enough to grow a thick shell. And the inside- the pulp was drying out in the top, hence the dimple I suppose. 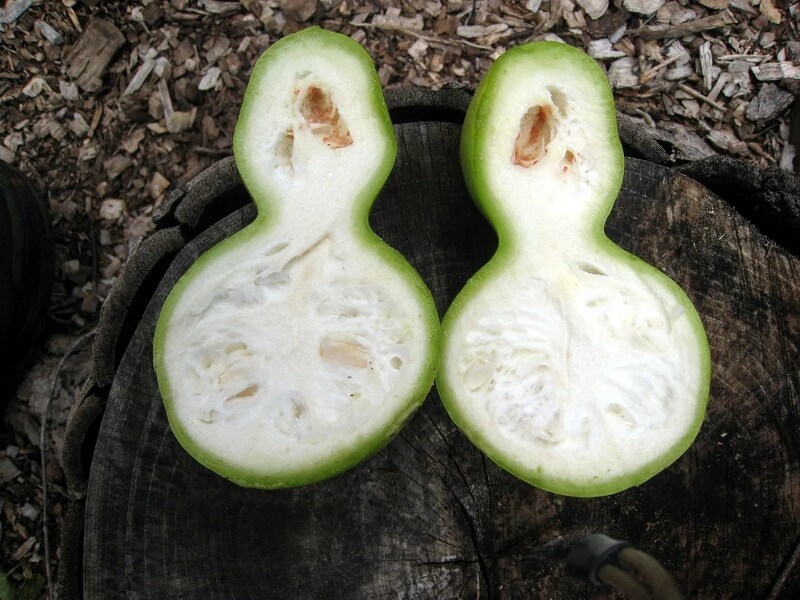 Out of curiosity, what are your plans for the gourds? I was going to try my hand at making birdhouses and hosting some bug eaters in the area next year. Cool! I look forward to reading those posts.